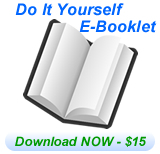 Order a Do It Yourself Lifes Reflections Memories Question Book and conduct your own interviews! Remember – this is the same guide and booklet Jan Lindgren uses to conduct her professional interviews from. With this booklet, you can record the precious family memories of your loved ones, or even use the booklet as a guide in establishing your own professional biographical interviewing business today! Thank you for your interest in Life’s Reflections. and the E-Book is not available at this time. * E-Booklet Orders are final – NO REFUNDS on E-Booklet Orders. Thank You.